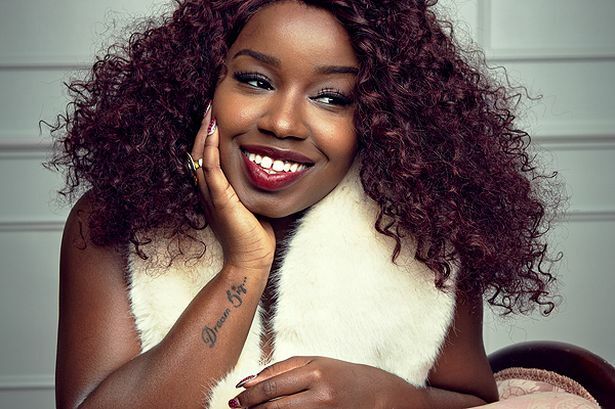 Misha B has released the official lyric video for her new single online. “Here’s to Everything (Ooh La La)” marks the third promotional single from the British singer/songwriter’s upcoming debut album, which is scheduled for release later this year via Sony Music Entertainment / Relentless Records. As previously reported, the debut collection by Misha B will feature productions from TMS: Ben Kohn, Peter Kelleher & Thomas Barnes (Jessica Cornish, Olly Murs), Shahid “Naughty Boy” Khan (Leona Lewis, Cheryl Cole), Mr. Hudson (Kanye West, Pixie Lott) and Fraser T. Smith (Britney Spears, Craig David). Songwriters include Emeli Sande (Fantasia Barrino, Alicia Keys), Ayak Thiik (Tinie Tempah, Kelly Rowland), Iain “Sparx” James (Nicola Roberts, Ginny Blackmore), Sophie Stern (Conor Maynard, Britney Spears) and Michael “Mike Del Rio” Gonzalez (Christina Aguilera, Skylar Grey). Fantasia Barrino has scheduled the release date for her upcoming fourth album. The R&B vocalist will release “The Side Effects of You” in the United States on April 16 via Sony Music Entertainment / RCA Records. Lead single “Lose to Win” was co-written and produced by Harmony “H-Money” Samuels, whose credits include “Enough of No Love” by Keyshia Cole featuring Lil Wayne [Universal Music Group / Geffen Records] and “In and Out” by Marcus Canty featuring Wale [Sony Music Entertainment / Epic Records]. Other musicians backing Barrino on the follow-up to 2010’s “Back to Me” are Eric Bellinger (Usher Raymond, Justin Bieber), Joseph “Lonny” Bereal (Michelle Williams, Kelly Rowland), Edwin “Lil’ Eddie” Serrano (RaVaughn Brown, Jordin Sparks), Sean “Elijah Blake” Fenton (Ciara Harris, Mariah Carey), Andrea Martin (Leona Lewis, Toni Braxton), Emeli Sande (Alicia Keys, Susan Boyle), Ben Harrison (Rihanna, Tinie Tempah), Erika Nuri (Christina Milian, Little Mix) and Shahid “Naughty Boy” Khan (Alesha Dixon, Marlon Roudette).